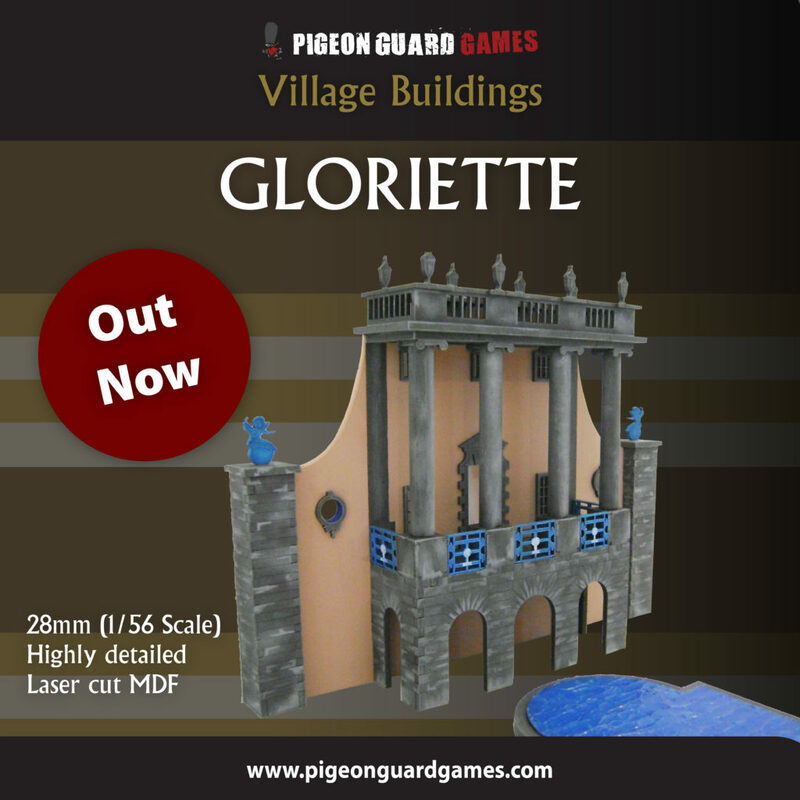 This 28mm version is based on the original folly of the same name in Portmeirion. This MDF kit also includes the pond and fountain, which help form “The Piazza”. Please visit http://www.pigeonguardgames.com for more information!